Kayla McLaughlin has been dancing for over 20 years. She began her training at Donna Miceli Dance Center, where she was a competing member of the Youth Dance Company. Kayla attended Southern New Hampshire University where she graduated with a bachelor’s degree in Business and Event Management. Kayla remained active in dance throughout her college years. She has taught at several studios both in New Hampshire and Massachusetts. Kayla was also a part of the 2012 New England Patriots Cheerleader Final Auditions. For the past two years, Kayla has been the advisor of the Tewksbury High School Dance Team. She has also led a very successful after school dance program and dance clinic in Tewksbury. Studio Rhythm Dance Center has always been a second home for Kayla. She has been a fixture at the SRDC since 2007. She has had the chance to work closely with the students and has received several awards for her choreography. She is excited to begin a new journey as a Director at Studio Rhythm Dance Center. 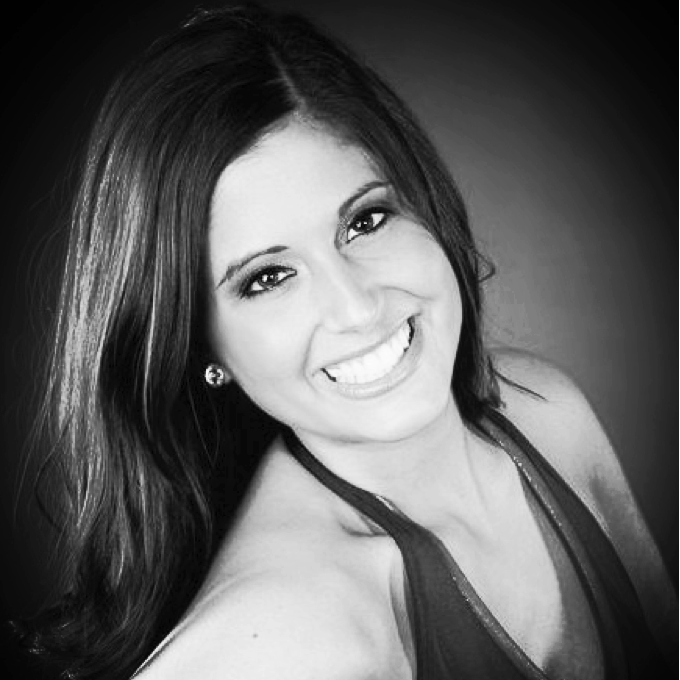 Lauren Vieira Auciello was trained for over 20 years at Donna Miceli Dance Center. She has her undergraduate degree in Dance Education and a Business Management Minor from Bridgewater State University. While at college Lauren was a member of the BSU Dance Company, Dance Ensemble, and was named the President of the Dance Team in both 2010 and 2011. She recently graduated with a Masters Degree in Moderate Special Education and is currently a 5th grade Special Education teacher. Lauren was also a performing member of the Professional Lacrosse Boston Cannon's Dance Team for two years. She has performed with the team at Harvard Stadium and several other charity events throughout the city. Lauren has taught at several studios in Massachusetts. She is looking forward to spreading her passion for dance as a Director at SRDC. Lindsey Vieira has been dancing for over 20 years and began her training at the Donna Miceli Dance Center. She has recently graduated from Bridgewater State University with a bachelors degree in dance education. Lindsey was also the president of the Bridgewater State University Dance Team leading them to UDA Nationals receiving 10th in the nation for open jazz. She is now the choreographer for Bridgewater State University Dance Team as well as Boston Dance Productions based out of Waltham MA. Currently Lindsey is a part of two dance companies based out of Boston MA, Static Noyze Dance Company and Boston Community Dance Project. She has had the opportunity to participate in World of Dance Boston, winning first place, as well as participating in Elements in New Jersey. Lindsey has also participated in the Celtics Top 24 Boston House of Blues final performance. Lindsey is excited to begin another year at SRDC! Katy started dancing about 40 years ago, and has been teaching ballet, pointe, jazz, tap and modern dance classes for almost 20 years locally. Katy performed with the DMDC Youth Dance Company throughout her teens, and graduated from Roger Williams University in 1995 with a Bachelor of Arts degree in English, Dance & Philosophy. She has studied with many well-known artists in the dance community, and attends conventions and fitness seminars regularly. Katy has taught at the Jeanette Neill Dance Studio in Boston and at the prestigious Walnut Hill School, and some of her past students are currently dancing professionally on cruise ships, at Disneyworld, on Broadway, and in Las Vegas. Holding personal training and group exercise instructor certifications from AFAA, as well as multiple Zumba licenses, Katy teaches fitness classes at gyms, schools, dance studios, community senior centers, and corporations. Her specialties include Zumba, Pilates, and Muscle Conditioning. She brings a wealth of knowledge and passion when teaching, while her high energy, constant smile and positive attitude keep her classes lively and fun. Zach has been dancing for over 16 years. He began his training at Broadway Dance Academy and was a member of the competitive program for 10 years. Zach attended Hofstra University where he graduated with a Bachelor of Art's in Radio Production & Communications. At Hofstra, Zach was a four year member and senior captain of the Hofstra University Dance Team. While on the team, he won two Division One Hip Hop National Titles in 2012 and 2013 at the Universal Dance Association Collegiate National Championship. He also appeared, with his team, on ESPN and Good Morning America. In addition to being a dancer, Zach has been teaching and choreographing for 10 years. He started teaching at Broadway Dance Academy and local studios in the area, and when he went to Hofstra he started working with local studios on Long Island. He is now an associate choreographer for TRA Choreography, working with high school and college dance teams. Zach also auditioned for season 12 of the Fox hit show "So You Think You Can Dance". Zach made it to the final callbacks in Las Vegas and made it to the second round. Katie Lamoureux began her training at the Donna Miceli Dance Center where she was a member of the Youth Dance Company. With this company she participated in local shows, competitions, and community outreach events. Katie continued dancing at Westfield State University where she was a member of the competitive hip hop team. She competed locally and at the UDA Nationals competition in Orlando, Florida where her team has placed in the top ten over the last four years. Katie recently graduated with a degree in Elementary Education and is looking forward to the upcoming dance seasons with SRDC! Donna received her training at Boston Ballet, Gus Giordano Dance Center in Chicago, and the New York City studios of Luigi and Alvin Ailey. In addition to founding the Donna Miceli Dance Ensemble and the Youth Dance Company, Ms. Miceli has instructed at Boston School of Ballet, Gus Giordano Dance Center, Jeanette Neill Dance Studio and Lowell Arts Magnet School. She has been a Master Teacher for the Dance Teachers Clubs of Boston and Maine, Dance Masters of America and Tanzwerkstatt Internationale in Bonn, Germany. The recipient of numerous awards for her performances and choreography, Ms. Miceli has choreographed for MRT and professional companies. She was a finalist in the International Choreography Competitive Event at Jazz Dance World Congress 2000 and 2003 where she received Honorable Mention awards for her work. Ms. Miceli is certified by the Dance Teachers Club of Boston and Dance Masters of America and serves as adjudicator at competitions. Donna will be joining our Ballet Program at SRDC in the fall! Ashley has been dancing for over 20 years and mostly trained at the Donna Miceli Dance Center. There she was a part of the youth dance company and performed at local event, competitions and community projects . She recently graduated from Merrimack College with her Masters in Exercise and Sport Science and Athletic Training while there, danced on the Merrimack College Dance Team and competed in the NDA Nationals competition placing fifth in the nation in open jazz. She currently is dancing with the company DanceWorks Boston. She has been teaching mini movement ballet and tap for many years. She is looking forward to what the upcoming year has in store at SRDC.